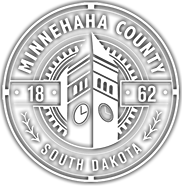 Minnehaha County is governed by ten elected officials - 5 part-time County Commissioners, an Auditor, a Treasurer, a State's Attorney, a Register of Deeds and a Sheriff. Daily operations are managed by 19 full-time Department Heads. Please pick a department that you would like to contact or let us know what you want information on and we can direct you to the correct office.